KATHMANDU, July 18: Wholesale price of vegetables has started to climb up as the end of growing season nears. 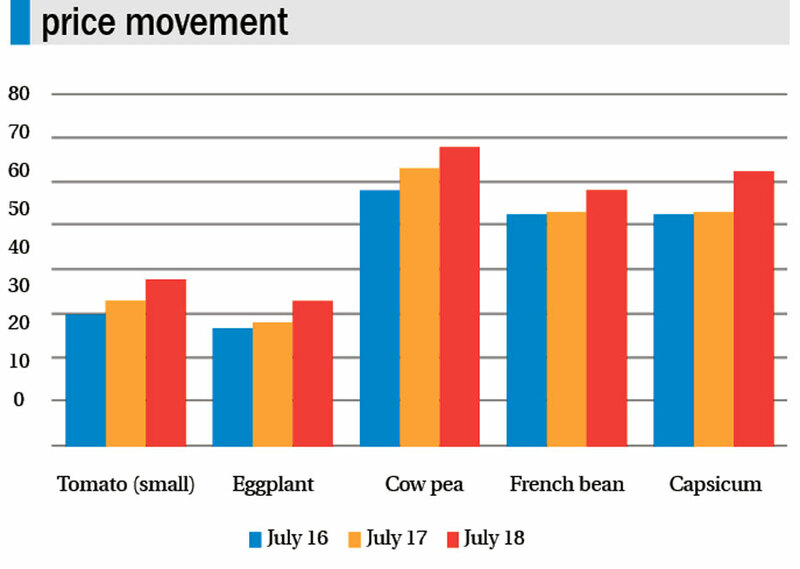 Seasonal vegetables like tomato (small), eggplant, cow pea, French bean and capsicum have seen consecutive price hike in the last three days. Officials say that as monsoon is the season of paddy plantation, it automatically decreases the production of vegetables in local level. The supply is expected to be on the lower side until mid-October as it is the season for paddy and other crops until then. When there is less supply in the market, the price goes up. 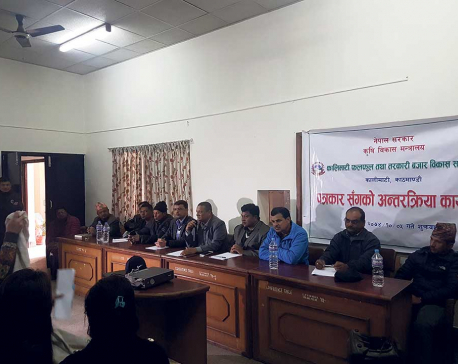 According to Dangol, along with the end of season, supply and distribution can have an impact on the determination of price in Nepali market. The market saw disturbance in supply and distribution on Monday as most Nepali women engaged in vegetable business fasted. Two weeks earlier, the price of major vegetables had plunged due to oversupply in the market. The price of tomato (small) and French beans had plunged by 30 percent on the 1st of July. “Vegetable market experiences price fluctuation in the beginning or ending of their prime season of cultivation,” stated Dangol. Though officials have anticipated possible price hike because of disruption in transportation during the monsoons, it has not hampered the supply and distribution yet. A total of 650 to 750 tons of seasonal vegetables are supplied to Kathmandu from different parts of the country on daily basis.